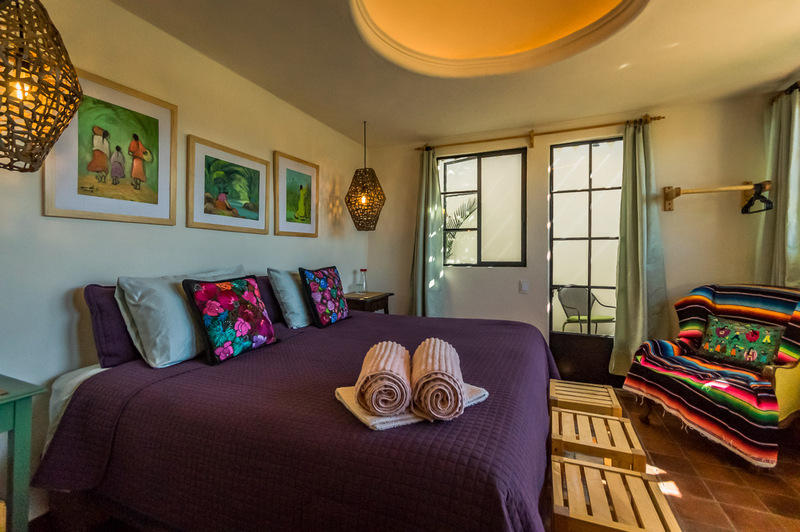 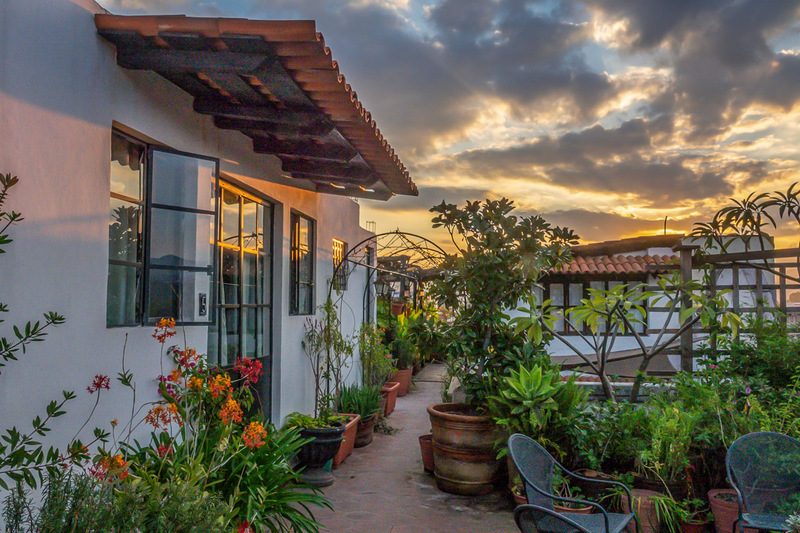 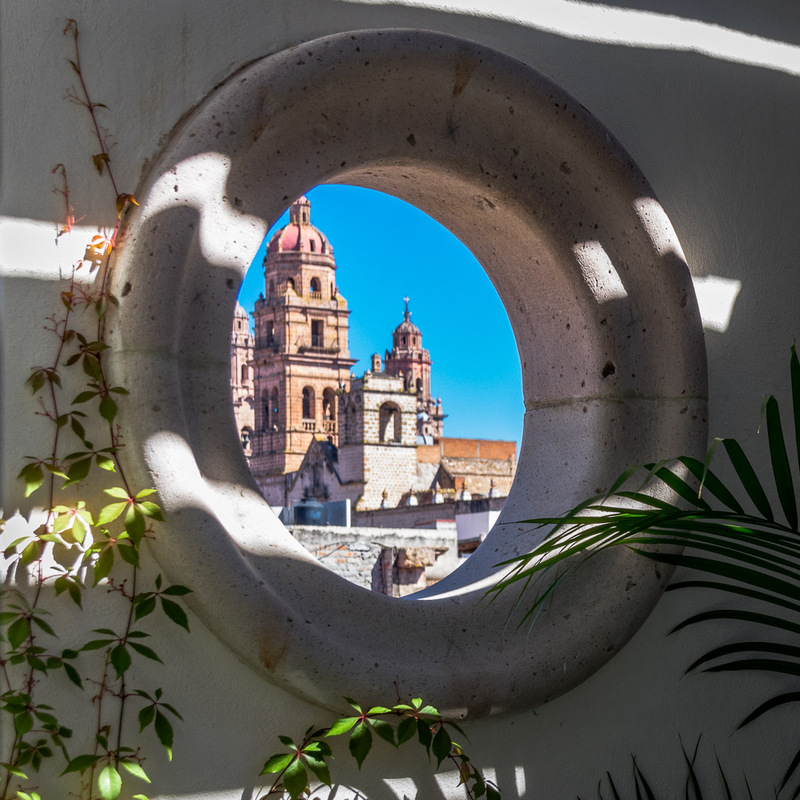 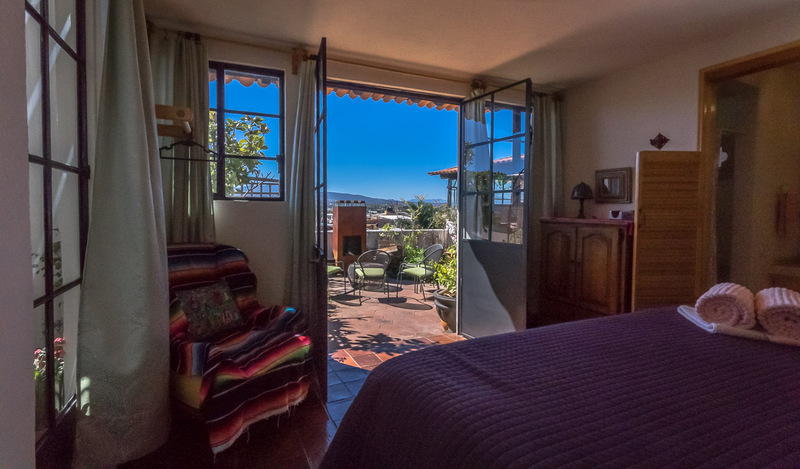 Located on the rooftop of Casa Xola, Xola 5 is a spectacular space with views of the hillsides surrounding Morelia. 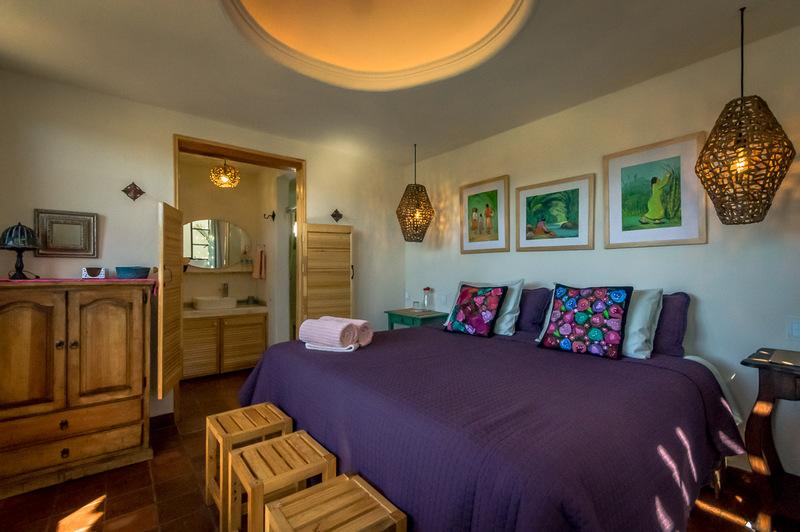 It is a King room with a luxurious rain shower in the large bathroom. 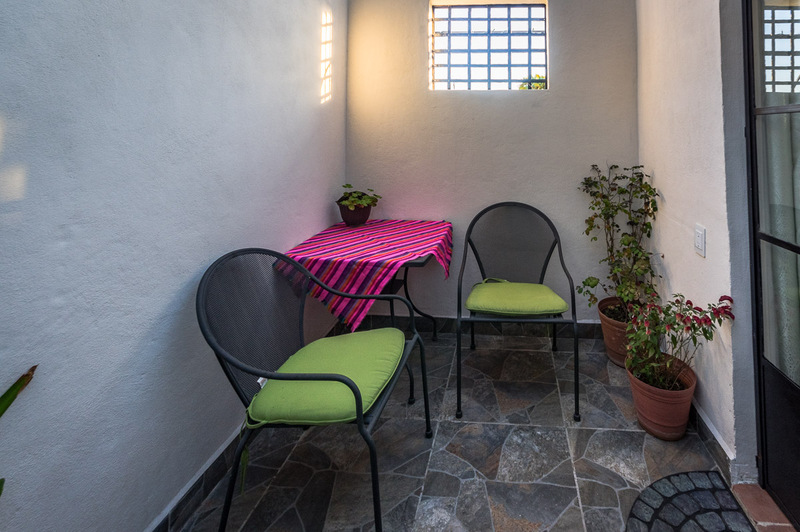 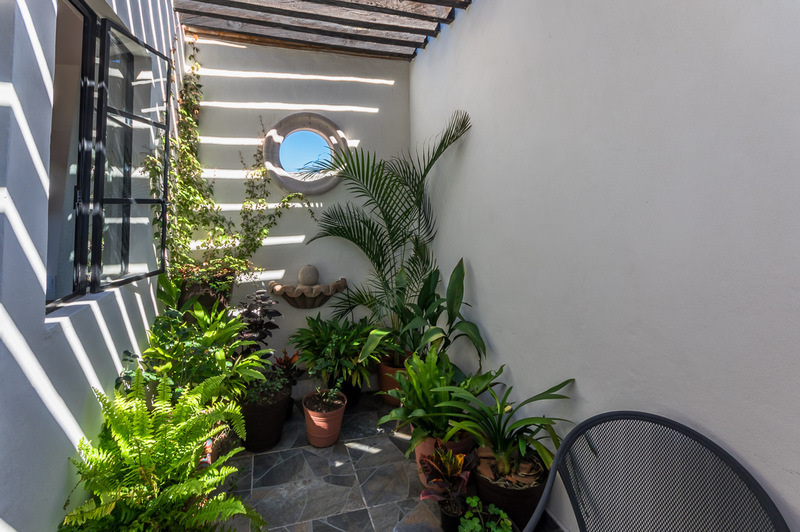 It has an attached private garden patio for the times you just want to be on your own.